This August, all eyes will be on Brazil as it becomes the first South American country to have the honour of hosting the historic Olympic Games. The stage is set in Rio de Janeiro as 10,500 athletes from 206 countries around the globe are all set to compete in 42 sporting events across 32 venues. This high-octane event will attract visitors from all over the world; up to 7.5 million tickets have been issued to spectators worldwide. Not only the athletes and spectators will be flying to the city, representatives from some of the biggest brands of the world, such as Coca Cola, Visa, McDonalds etc., will also be there. This means that people in the travel and hospitality industry will be having a few sleepless nights. What about the Business Travellers? Ken McGill, an economist from Global Business Travel Association, says: “While there will certainly be some corporate travel associated with sections, such as print and broadcast media, security and hospitality, the bulk of Rio’s travellers will be leisure travellers and sports fans”. It is estimated that this type of operational business travellers to Brazil would make up just around 10 to 15 per cent of all the travellers. 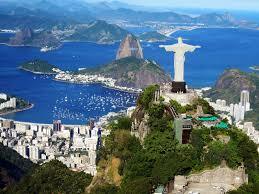 However, routine business travel to Brazil will surely be affected by the Olympic Games. The price of hotels will rise 3-5 times more than normal due to shortage of rooms. Moreover, rental cars will be hard to find, the roads will be crowded with vehicles and public transports will not be easily available. It is recommended that business travels, if not essential, should be avoided during this time period. Brazil is in the midst of political instability, recession and concerns about the Zika virus. However, the local authorities assure the visitors that they will be given incredible security during their stay. The police have sharpened their crackdown against any criminal activity. Just like in the 2014 FIFA World Cup, the Government will deploy immense police and military force to protect the visitors. It is estimated that more than 80,000 security personnel will be deployed to protect tourists, media personnel and athletes. The Zika virus was first identified in Brazil in 2015. The virus is supposedly associated with a number of serious birth defects and a paralytic neurological disorder. As part of an organisation’s duty of care – the legal obligation to protect employees from any reasonably foreseeable harm – the executives’ concerns regarding the Zika virus must be taken seriously. The World Health Organisation (WHO) says that there is no proper treatment or vaccine currently available and that the best way to protect oneself is to use insect repellents to avoid mosquito bites. It is recommended that you take your doctor’s advice before visiting the country. Women who are pregnant or are planning to become pregnant are advised to postpone their visit to the country.